Letchworth Museum opened in 1914 to house the collections of the Letchworth Naturalists' Society. Since then the museum has expanded greatly in both size and scope. The attractive downstairs Wildlife Gallery shows local birds and animals in realistic settings - including the famous Letchworth Black Squirrel - as well as displays on the geology of the area. The Art Gallery upstairs has a new exhibition changing every month and the Mezzanine Gallery houses monthly changing exhibitions of paintings, photography and craft, much of which is for sale. Along the corridor, the extensive Archaeology Gallery shows how people have lived in this area for thousands of years. Make sure that you don't miss the Iron Age Chieftain's burial display, or the many examples of Roman pottery and jewellery. There is also a small display of old toys, with a shop for children to play in. For its size. Letchworth Museum has an exceptionally rich and extensive collection ot Roman items on display, including pottery, keys, lamps, figures, and jewellery. 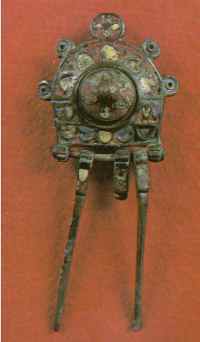 as well as these more common objects there is a lead curse and life-size ceramic mask. Much of this material comes from nearby Baldock, which was a thriving market town during the Roman period. The museum always has events in the museum garden to celebrate Archaeology day. 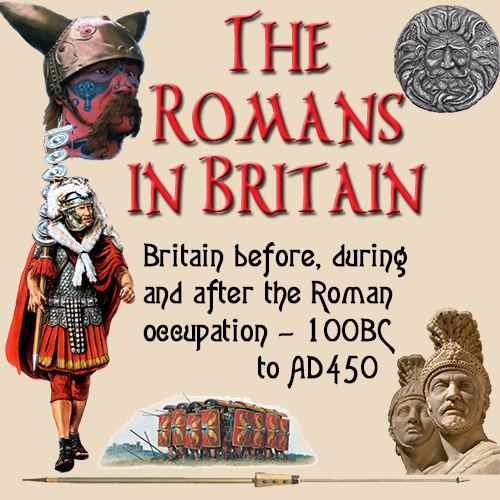 Come along and meet an archaeologist and take part in Roman and Celtic customs. CHILDREN - remember the Museum Passport scheme. Keep coming in to do the exhibition quizzes and have your Passport stamped. Prizes galore. School service with extensive school loan collection. Roman enamelled bronze manicure brooch.